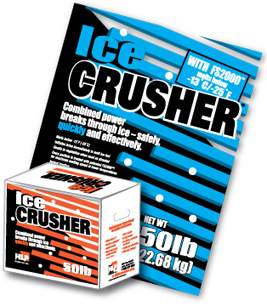 Ice Crusher™ is a quality blend of potassium chloride, sodium chloride and urea designed for optimum value and economy. Ice Crusher melts to -13°F (-25°C) and has excellent staying power. Every particle is coated with patented FS2000™ for optimum performance.